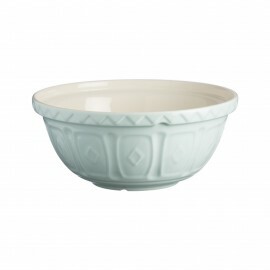 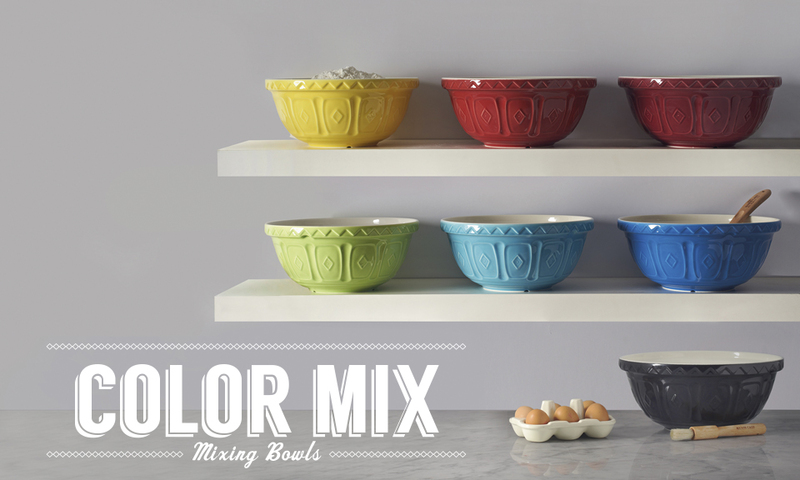 Stir some color into your kitchen with the Mason Cash Color Mix mixing bowl range. The brightly colored size 12 bowls retain the charm of Mason Cash classics whilst bringing a bright, vibrant palette to any kitchen. All are chip resistant, dishwasher and freezer safe. COLOR MIX S12 TURQUOISE MIXING BOWL 11.5"
COLOR MIX S12 POWDER BLUE MIXING BOWL 11.5"
COLOR MIX S12 CREAM MIXING BOWL 11.5"
COLOR MIX S12 POWDER PINK MIXING BOWL 11.5"
COLOR MIX S12 RED MIXING BOWL 11.5"
COLOR MIX S18 TURQUOISE MIXING BOWL 10.25"
COLOR MIX S18 POWDER BLUE MIXING BOWL 10.25"
COLOR MIX S18 CREAM MIXING BOWL 10.25"
COLOR MIX S18 POWDER PINK MIXING BOWL 10.25"
COLOR MIX S18 RED MIXING BOWL 10.25"
COLOR MIX S24 TURQUOISE MIXING BOWL 9.5"
COLOR MIX S24 POWDER BLUE MIXING BOWL 9.5"